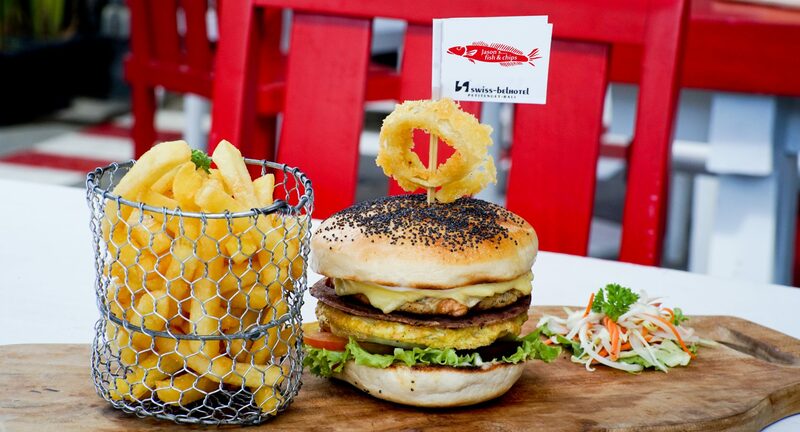 The best Charcoal Chicken Burger surrounding Seminyak area! Jason’s create his own ingredients called Jason’s Fish & Chips which offers fish and chips and assorted themed dishes. Fish & Chips is among the most popular foods in the world. It is simply delicious and it comes at very good prices. We take massive pride in sourcing sustainable fish and the very best in local produce for our kitchen. One of the best things about fish & chips is the fact that all the family enjoys these dishes. Both adults and children are known for liking the meals. Jason’s Fish & Chips offers JFC Family Combo, Porky, Burger & Friends. There is a menu with a wide range of options you get to choose from. Envision fans and family members eating and drinking on the outdoor patio during games, you are bound to enjoy the best food ever. With us, you know exactly what you’re eating simply quality fish & chips! Look through our site, download menus, browse our gallery of images and leave feedback to help improve our service and your experience.